Annual Reminder: Some Journalism Deserves Respect! What Is Critical for Growth? Is Sri Lanka Crazy Enough to Elect a Retired General as President? Although Burma’s military regime has announced no election law nor declared the date of the poll it plans to hold in 2010, preparations appear to have begun in Naypyidaw. Informed sources suggest that potential candidates for president, vice-president, commander-in-chief of the armed forces and defence minister have been chosen. Presidential material: General Thura Shwe Mann. The current list may yet be modified before the election and some potential candidates on the list could be removed. 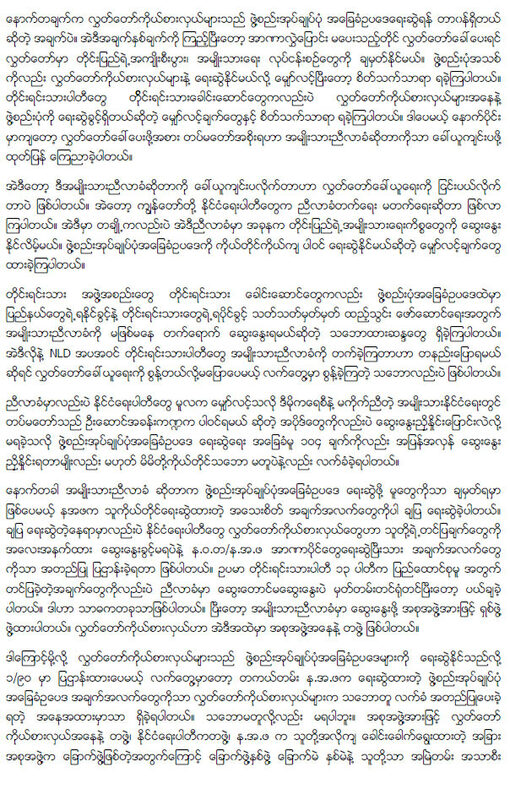 All depends on the regime’s leader Senior General Than Shwe, who still calls the shots. 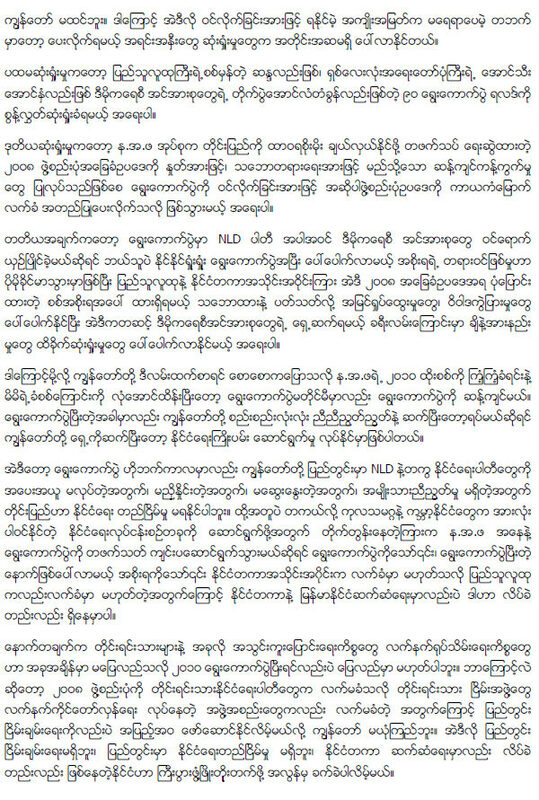 Gen Than Shwe, who is in his late 70s, and his No.2 man Deputy Snr Gen Maung Aye, who is only slightly younger, will retire soon after the election. Informed sources said that they are building lavish new homes in Naypyidaw for their retirement. 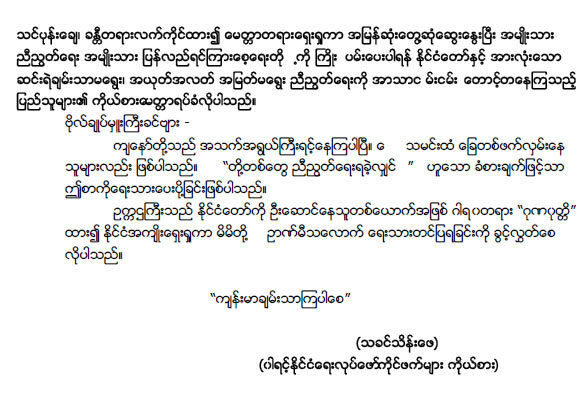 However, before vacating the throne, Gen Than Shwe will make sure that he and his family can live in safely, leaving his trusted officers in high positions to ensure security. 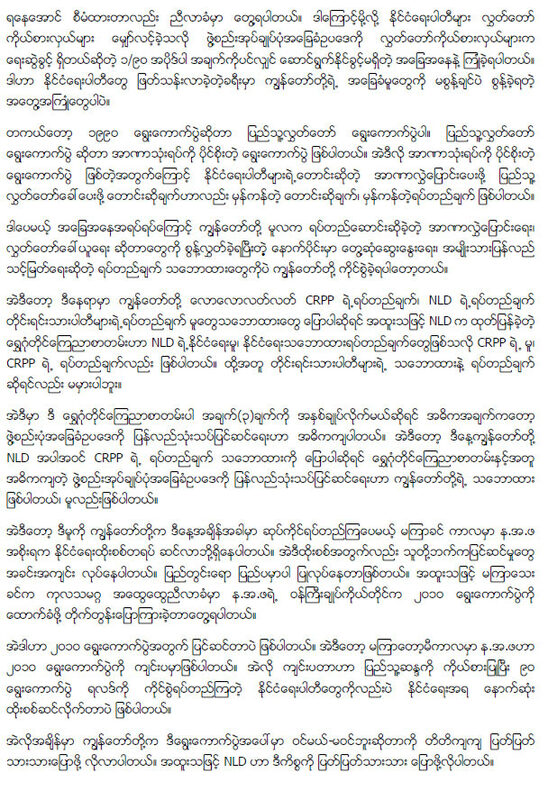 Gen Than Shwe has reportedly already endorsed the junta’s No.3 man, Gen Thura Shwe Mann, joint chief-of-staff in the armed forces, to become president of post-election Burma. According to sources close to the military elite, Gen Shwe Mann, 62, will be nominated by the representatives of the military in the future Senate and House, to be formed after the planned 2010 election. The military will receive 25% of the seats at the village, township, state, regional and district levels in the new governing body, according to the 2008 constitution. 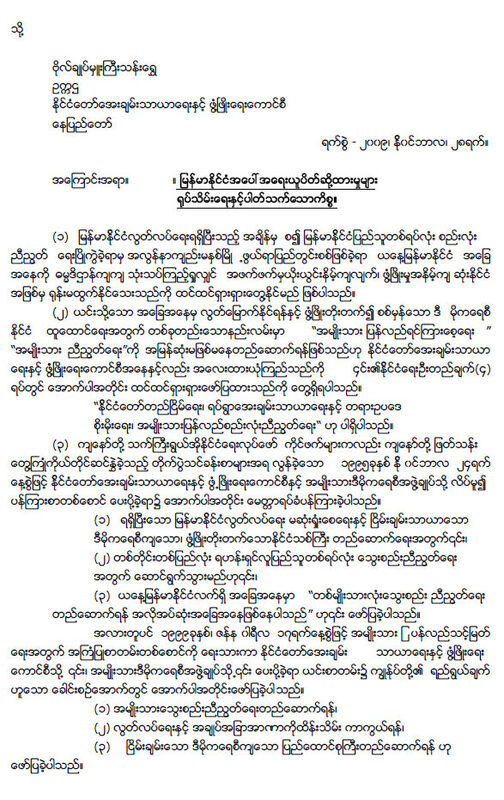 There will be three nominees for the presidency _ one from the Amyotha Hluttawa (Nationalities Parliament or Senate), one from the members of the Pyithu Hluttaw (People’s Assembly or House) and one from the militlary contigent of the two Hluttaws. The Senate and the House will then vote to choose the president. Gen Shwe Mann, a protege of Gen Than Shwe, has a reputation of being down to earth and a good listener, but he has yet to show his teeth on a broad range of social, economic and political issues. His vision of Burma’s future is unknown. 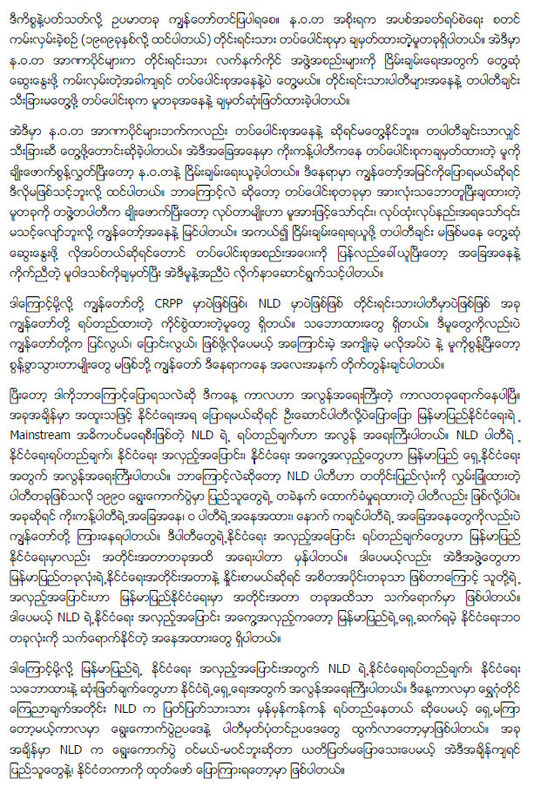 However, Gen Shwe Mann increasingly oversees regular meetings on political and security affairs with high-ranking military officials in Rangoon and Naypyidaw _ perhaps a further sign that Gen Than Shwe will take a back seat after the election. Gen Shwe Mann and his wife are close to the strongman’s family on a personal level, undertaking shopping trips together to Singapore. Recently, Gen Shwe Mann was the subject of extensive news coverage focusing on his secret mission to North Korea in November. According to the constitution, one of the duties of the new president will be to head the National Defence and Security Council, which has the power to declare a state of emergency and nullify the constitution. 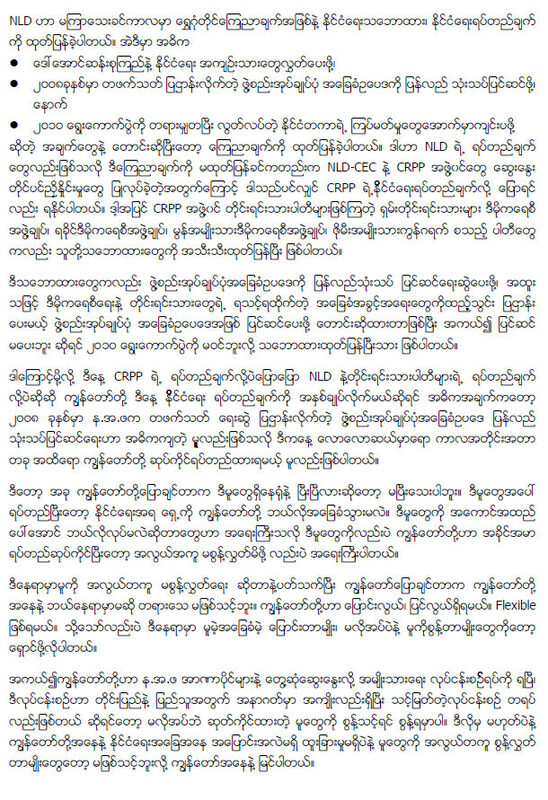 Gen Than Shwe’s choice for one of the two proposed vice presidents, according to informed sources, is Maj Gen Htay Oo, the minister of agriculture and irrigation and a key leader of the Union Solidarity and Development Association (USDA), the junta-backed mass organisation. Maj Gen Htay Oo recently visited Japan _ displaying, according to military sources, all the qualities of a politician rather than an army officer. The choice of the second vice president is likely to fall to an ethnic leader. It’s worth recalling that Burma’s first and second presidents were from the Shan and Karen ethnic minorities. Analysts ponder the question of who will become commander-in-chief of the armed forces. 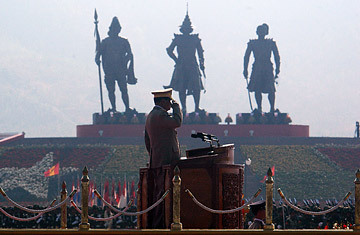 Gen Than Shwe currently holds Burma’s most powerful position in the armed forces and analysts say he will hand this position over only to his most trusted ally. There appear to be plenty of subordinates who could fill the shoes. 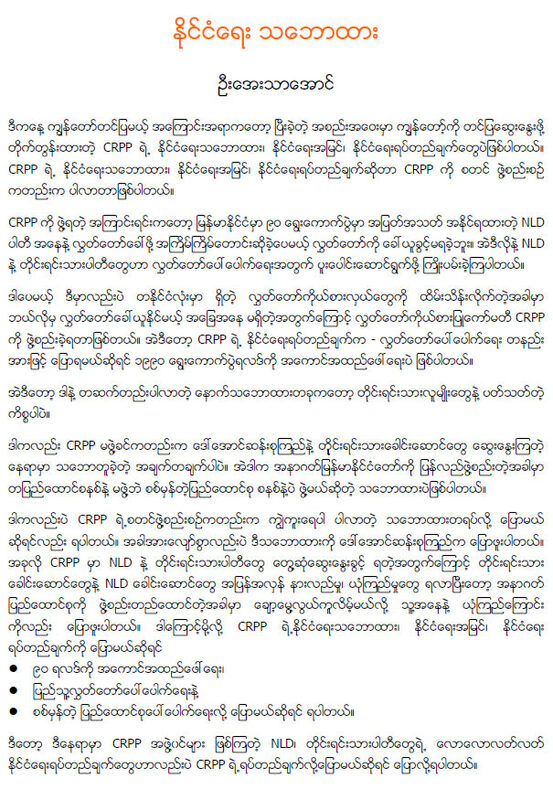 They include Lt Gen Hla Htay Win, Maj Gen Ko Ko, Maj Gen Tin Ngwe and Maj Gen Kyaw Swe. 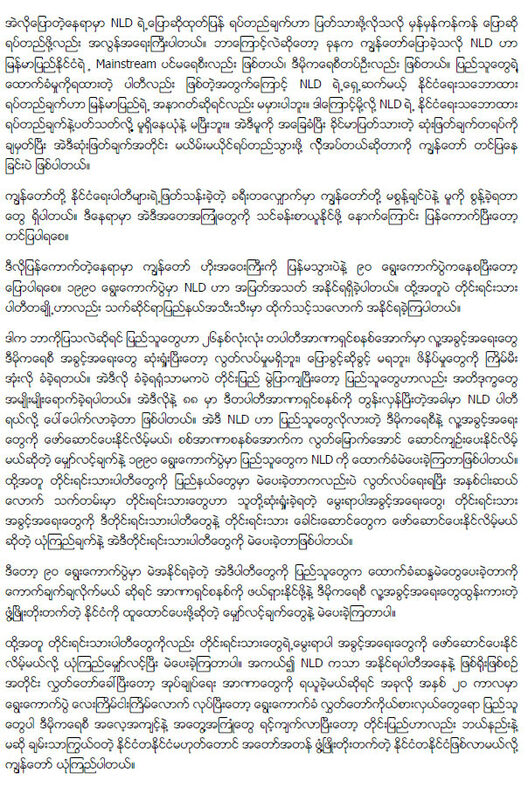 All are close to Gen Than Shwe and Deputy Snr Gen Gen Maung Aye, the current army chief and deputy to Gen Than Shwe. Maj Gen Tin Ngwe, who is commander of central command, is said by analysts to be the front-runner for the post of commander-in-chief of the armed forces. He recently accompanied Gen Than Shwe when he made an official visit to Sri Lanka. Born in Nyaung-Oo, in the central heartland of Burma, Maj Gen Tin Ngwe attended the Defence Services Academy Intake 22, together with Kyaw Swe, later serving as G-1 in the defence ministry. He is known to be loyal to Gen Than Shwe and Gen Shwe Mann. According to the new constitution, the commander-in-chief will control the ministries of defence, border affairs and home affairs, exercising wide executive powers. 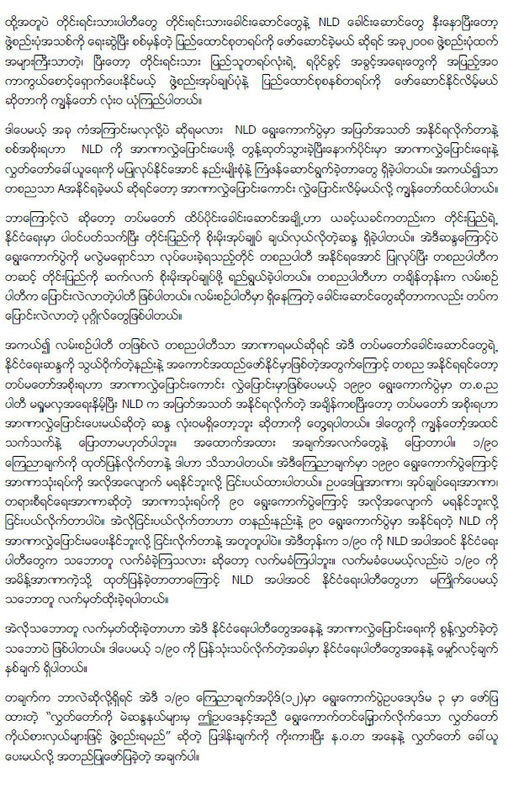 Analysts also tip Lt Gen Myint Swe, a Than Shwe protege, as a possible candidate for the post of defence minister. He attended the 15th intake of the Defence Services Academy in 1971 and is currently commander of the Bureau of Special Operations 5. Lt Gen Myint Swe became commanding officer of Light Infantry Division 11, overseeing security in Rangoon, and later served as commander of Southwest Military Region in Bassein, Irrawaddy Division, before moving in the late 1990s to the defence ministry, where he worked directly under Gen Than Shwe and Gen Maung Aye. 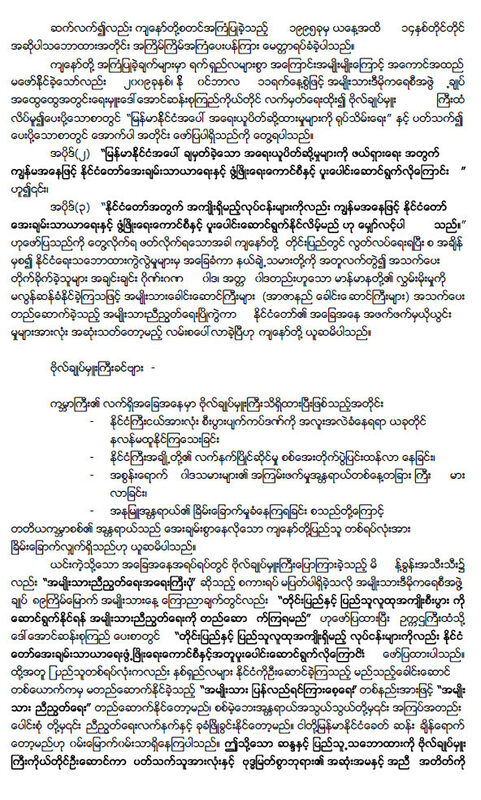 This seems to be Gen Than Shwe’s “rest in peace” selection plan for 2010. If he executes it smoothly, he will avoid the fate of such top men as Gen Khin Nyunt and the late dictator Gen Ne Win, both of whom ended up under house arrest. 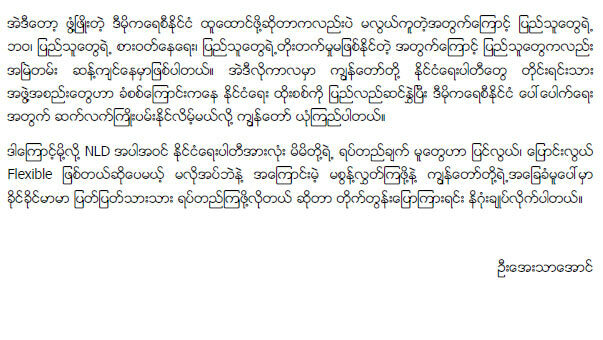 Analysts say Gen Than Shwe wants to make sure the 2010 election provides him and his family with a safe exit strategy. That entails leaving his trusted aides at the helm _ and that means the country will continue to be to run by the military. 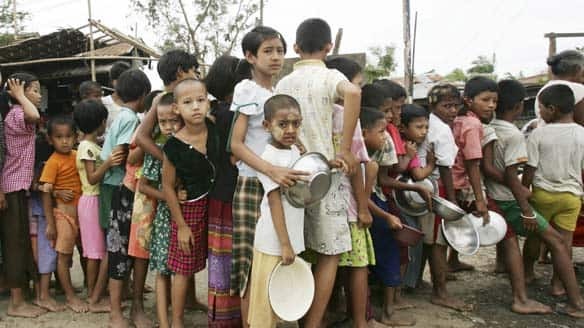 The only government that has made significant use of the weapon is Myanmar, Burma, the outcast regime there. We have seen production falling off to only a ..
… and 80 percent of the seats in the People’s Assembly. 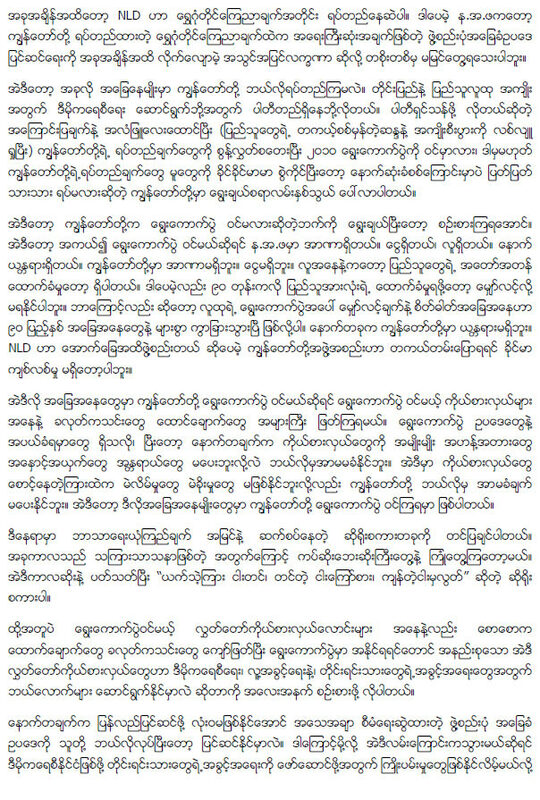 SLORC dismissed the results, and subsequently detained NLD’s Prime Minister-elect Aung San Suu Kyi.